Long Island Restaurants by Dining Long Island Long Island Restaurant Guide Directory for Lobster Deals, Wine Dinners, Prix Fixe menus, Brunch menus and the Finest Dining with a waterview or waterfront or on the water. Our Complete Long Island Dining Guide provides links to menus, prix fixe, lobster specials and Special events updated on a regular basis. If you are reading this your web browser does not support frames. Please update your Browser and come back to view the Most Complete Guide to Dining on Long Island. Submit email below for latest Long Island Restaurant Events. Tags: long island restaurants, long island, lobsters, fine dining, affordable, dining, wine, menus, dining, restaurants, brunch, prix fixe, restaurant week, prix fixe, dine, lobster, lobsters, early bird, black board, special, specials, wine down wednesday, no corkage, pasta, dinner, nassau county, suffolk county, waterview, waterfront, valentines, mother's day, italian, seafood, steak house, steakhouse, bistro, wine, dinner, pairing. Dec Specials: First Taste of Winter H2O & Verace, French Wine Dinner Tellers, Sam Adams Beer Dinner Library Cafe, Road Trip Key West Prime, Holiday Specials Verace, Winter Feast Pre Fixe La Bottega, Long Island Holiday Specials info. 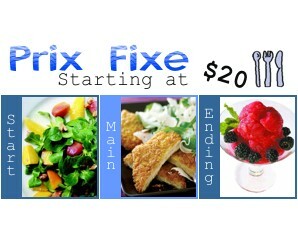 Dining Long Island is Constantly Updating: Adding New & More Prix Fixe, Brunch Menus and Events. Soon get Coupons for your favorite Long Island Restaurants right here. 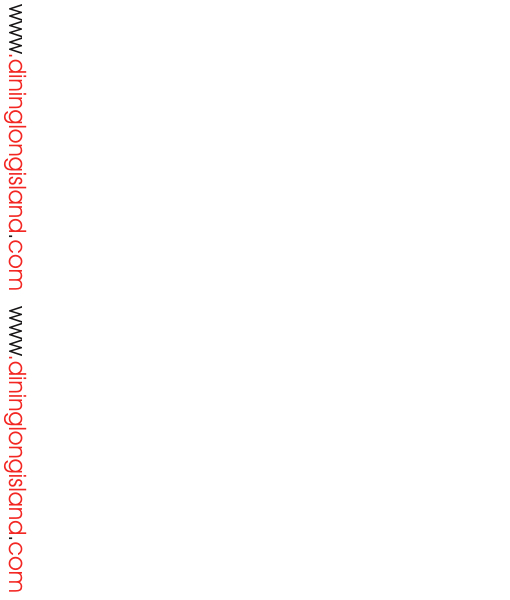 Add DiningLongIsland.com to your site here. Sept Specials First Taste of Fall Verace, French Fall Festival Stonewalls, 22 Year Anniversary George Martin, First Taste of Fall Tellers, Beer Dinner Ruvo, Smithtown Restaurant Week 9/18-9/25 info, Blue Point Beer Dinner Library Cafe, Hurricane Coupons 20% off Bella Vita City Grill (closed 9/18), Shrimply Delicious Beachtree., Lobster Dinner (w) The Schooner, Wine Tasting Dinner featuring flavors of South Africa The Carltun. Like us on Face Book to for more Long Island Restaurant Specials not available here on our website!! Face Book. Reservations are now being accepted. Private Rooms also available. Serving Grandma and The Yankees . . . . . . . . . . . .
1 per adult from kids menu. * Most prices do not include tax and gratuity. Summer Specials 2 for 1 Lobsters, Clams & Oysters River House Grill, Lobster Fest Mondays Fat Fish, Lobster Ruvo, Lobster Palooza Tuesdays The Beach House, LobsterFest BLUE, Lobster Bake Monday/Tuesdays Red Fish, Seafood Tower Tuesdays & Seafood Bake Thursdays Captain Bills. Lobstapalooza for TWO wednesdays Montego Bay (closed for the season), Lobster Lovers Claudios, Lobster Bake Lombardis on the Sound, Lobster Special Nicholas JAmes, Lobster Dinner Mirabelles, Lobster Bake (Th) Snapper Inn,Lobster Bake Thursdays & Mussels Mondays Paddy Mcgees, Lobster Prix Fixe (M&Tu)Trodos, NE Clambake (M) Lolas,9& Dine Blackwells. July Specials were Bogeys & Beers Blackwells, Chef's Table at Stonewalls, Prime Rib Week, Lobster & Filet Mignon at The Clubhouse, Bastille Day Mirabelle, Wine Dinners Stonewalls, Vittorios, H20, Verace, Summer Menus TWO, Bobs. The Carltun Wines & Cuisine of California. May Long Island Restaurant Specials so far included Gulf Coast Kitchen Spring/May Dinner, Ruvo PJ BBQ, Beer & Blues, Breakers Sunday Brunch, The Palm Italian Dinner, Laurel Lake Vineyard Wine Dinner & Jason's Vineyard Wine Dinner at Jameport Manor Inn, LObster Madness at The Cullhouse, South American Wine Dinner at The Coach, Cinco de Mayo Library Cafe, Mothers	Day	Brunches, Lunchs & Dinner click here. Wine Dinners at Tellers, Vittorios, Verace, H20. June Specials included H2O Sustainable Shellfish, The Carltun Wines & Cuisine of Argentina, Grassos Celebrate Summer Prix Fixe, Verace First Taste of Summer, Brewmasters Dinner with Blue Point at The Fifth Season, Lobster Palooza Beachtree, Peconic Bay Winemakers Dinner hosted by North Fork Table & Inn, A Beer Dinner at the NEW Cedar Creek Glen Cove, The Clubhouse Huntington Petite Filet Mignon & Nova Scotia Lobster Tail, Spring Menus from Southfork Kitchen, Table 9, FOUR & Claudios. Restaurants menus and events featured in March were Olive Oils, Breakers, The Living Room, Rare 650, Stone Turtle, Jamesport Manor Inn, Tellers, Ruvo, Thyme, H20, Prime, Franks Steaks, Cull House, Tellers, Nicholas James, Cooperage Inn, Prime, Mirabelle, The Palm, Snapper Inn.